Last week saw Dave Arthur from over at road.cc visiting Bike Science Bristol for a fitting on our Legend HT 7.5 demo bike. Expect to see a full review of the bike over the coming weeks, but for now here’s their first impression and some juicy photos of our Campag Chorus 11 Speed equipped beauty. 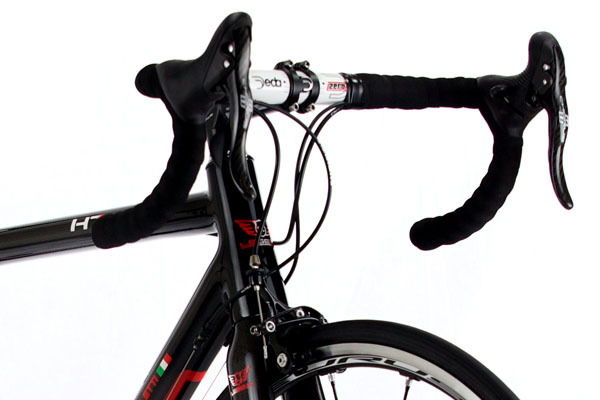 Marco Bertoletti produces the what we believe to be the worlds finest carbon, titanium, steel and aluminium road bikes. Each bike perfectly fitted by Bike Science using Retul motion capture technology prior to the frame design process and on the final bike once built.